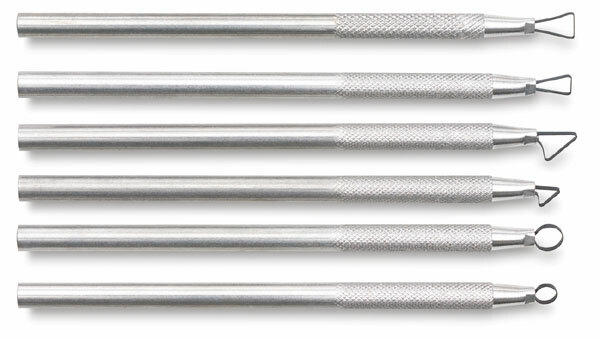 These tools are used for fine sculpting, detailing, and trimming when working with clay, greenware, plaster, wax, bread dough, or any other modeling medium. 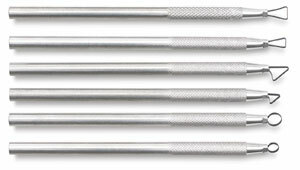 Set of 6 tools. Each tool is approximately 5½" long.